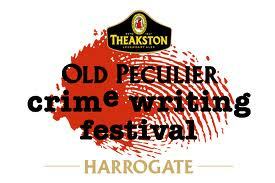 The internationally renowned Theakstons Old Peculier Crime Writing Festival, Harrogate and Transdev in Harrogate, part of one of the largest public transport operators in Europe, have joined creative forces this summer to bring two exclusive opportunities to readers and writers in North and West Yorkshire. Passengers of Transdev in Harrogate’s distinctive 36 bus services will have the opportunity to let their imagination travel courtesy of an exclusive 15 Minute Read, which features a collaboration of stories from some of the UK’s most celebrated crime writers. The Theakstons Old Peculier Crime Writing Festival – part of Harrogate International Festivals, one of the north of England’s leading arts organisations – challenged ten of the UK’s finest crime writers to come up with a round robin crime story as dark and mysterious as the beer of its title sponsor. The first three chapters of the resulting humorous crime story, Specific Gravity, written by authors Stuart MacBride, Zoe Sharp and Laura Wilson, will be available as a take-one 15 Minute Read mini-book on 36 buses throughout July with the rest of the madcap saga unfolding online at 36stories.co.uk. The story will carry on with chapters from an array of bestselling crime writers including N J Cooper, Martyn Waites, Martin Edwards, Ann Cleeves, Dreda Say Mitchell, Allan Guthrie, Charlie Williams and more from Stuart MacBride. In the same way that the 15-Minute Read booklet promises to intrigue travellers, selected competition entries will be available to read online and with free Wi-Fi available on the majority of Transdev in Harrogate’s 36 bus fleet, travelling by bus has never been so entertaining, especially for passengers with smartphones and iPads. Framed! At the Penguin Crime Evening. 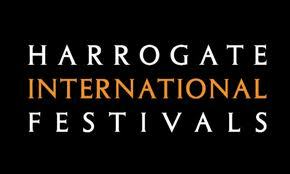 Harrogate Crime Festival programme is launched ! Creative Thursday at Harrogate ! World Book Night 2013 is almost here! Max Allan Collins drops by to discuss his writing and ‘Seduction of the Innocent’. Exciting new signing for Harvill Secker Crime Fiction. As if you needed any more reasons to go to Harrogate…. Win a Kindle Fire in the ‘ALL FALL DOWN’ Treasure Hunt – The final clue is here…. Get dosed up, people ! ………………………..This is on its way ! AWARD-WINNING AUTHOR’S HORRIFYING BIRTHDAY TREAT ! Once upon a time – A Collection of Unexpected Fairytales. Harrogate Hitlist: David Mark’s confession…. Harrogate Hitlist: Mari Hannah’s festival thoughts. Harrogate Hitlist 2012: Peter James and the darker side of Crime Fiction fandom…. A New Crime in Translation imprint coming from Little Brown soon !!!! Harlan Ellison’s WEB OF THE CITY coming to HARD CASE CRIME ! A New Stephen King novel ! JOYLAND coming from Hard Case Crime. Tony Parsons on ‘Catching the Sun’, writing, and the promise of a crime novel ! Getting ‘DEAD SCARED’ with SJ Bolton in The Cage ! Richard Laymon – The Horror is back ! East Coast Twitter Crime Story. V.M.Zito guest blog and The Return Man reviewed. WIN A CHANCE TO BECOME A MULHOLLAND DRIVER ! The Hunting Ground – An interview with Cliff McNish and a chance to win one of five copies for your own sleepless nights. Milo's Rambles Page by page, Cover by Cover, Book by Book! – Simples! UN:BOUND Fantasy / Horror / Sci-Fi / Crime – it’s all here.